Logo design and vehicle graphics. At CK Signs we're always striving to out do ourselves, below are some examples of recent projects. In our latest video we show the entire process of wrapping a van. From the initial design to printing and laminating through to the removal of all vehicle fittings and cleaning, finishing with the application and sealing of the cast vinyl. Finished door with handle reattached. Lining up the rear door graphics. 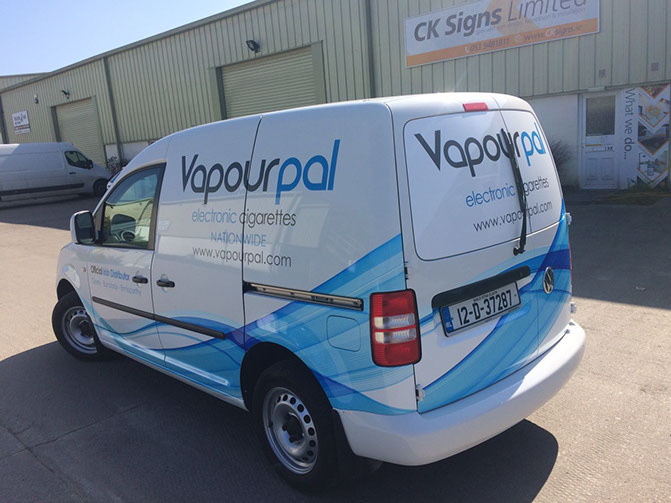 Vapour Pal were looking for van graphics to match their branding that could be adapted across many different vehicle types. 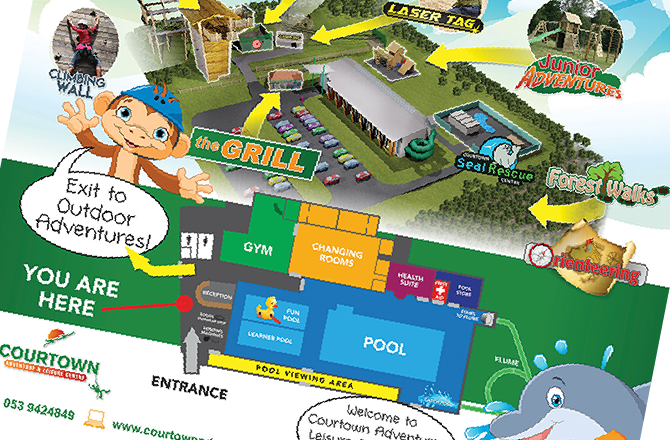 We created a fully 3D representation of the facilities at Courtown Adventure, plus mascots for their indoor and outdoor activities. With a combined 65 years of experience in the signage & display industry. 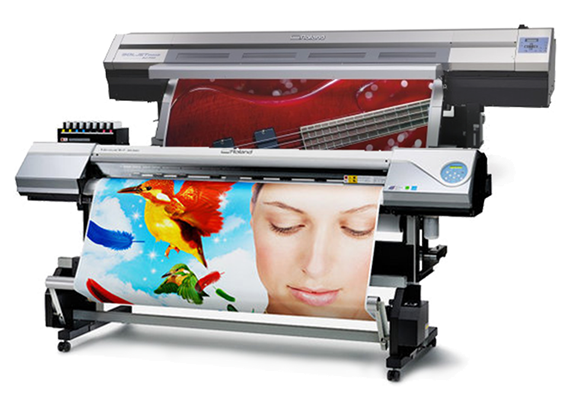 All of our full colour signs are printed on the highest quality vinyl which is then left to degas and laminated with U.V. resistant adhesive film to further protect the surface and prolong the longevity of your sign or graphics. Whether you already have artwork ready to go and are looking for a job to be completed or are only just starting and need a project taken from the drawing board to completion, get in touch with us. 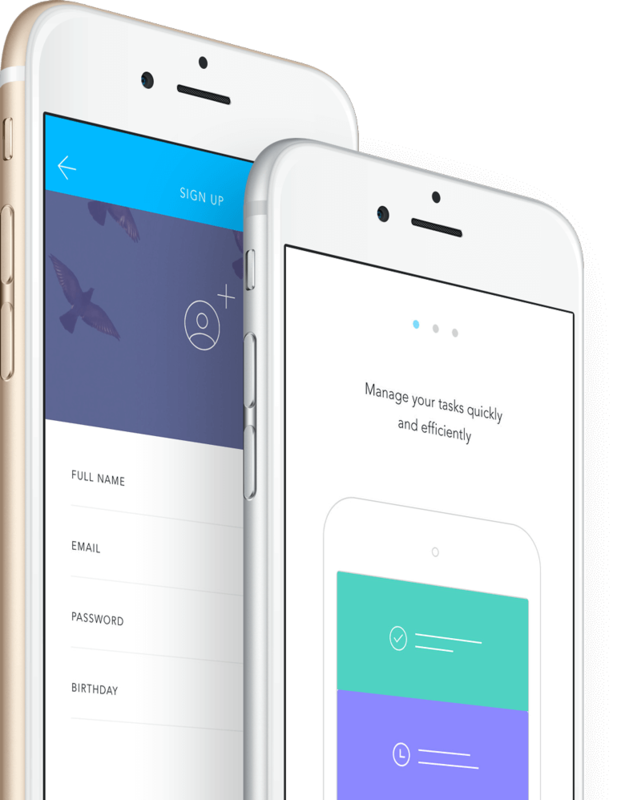 We can amend existing artwork to your specifications or create new brand linked designs to continue your current styles and values. All imagery and content on this website are copyright CK Signs and Display Limited 2016.